Brent NW Dry & Steam Rug & Carpet Cleaning Company | Quality Property Care Ltd. 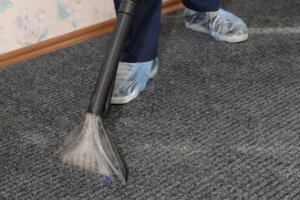 Hiring a professional rug and carpet cleaning company, and using its services frequently is a very good strategy, especially if you or somebody in your household suffers from dust or pollen allergies or has breathing problems. The quantities of dirt, dust, dust mites and germs in our rugs are actually quite alarming, so don’t hesitate to hire Quality Property Care Ltd., which offers a top quality carpet and rug cleaning service in Brent NW and the area. The carpet and rug cleaning company can also offer: curtain cleaning, drapery cleaning, blinds cleaning, as well as bed bug mattress treatment and mattress cleaning , which will help get rid of the allergens, dust mites and kill off all bacteria. 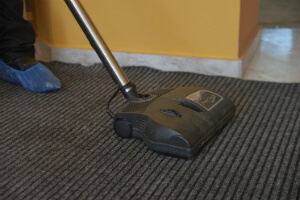 The business provides residential and commercial rug and carpet cleaning at a competitive rate. To get a free price offer in less than 2 hours, just call up the expert customer care service or use the online contact form. Materials like silk and cotton hardly ever take well to heat and moisture, this is why we apply a dry cleaning method which is a lot more gentle towards organic fibers. Once the stain appears be sure to act speedily and blot out if it’s a solid one. Remember to work with a colourless cloth or a paper towel and start from the ends in to prevent the stain from spreading. This way you not only draw out any moisture but also some of the spot with it. If its paint don’t let it dry or it will be difficult to remove, you have to keep the stain wet for our cleaners to be able to remove it fully. Once there they clean the spot with a hoover to take away any solids and draw out as much as possible. Later a fine brush is used to imbed our fine granulated dry cleaning agent into the fibers of the rug or carpet. The detergent binds with the stain draining out any leftover moisture and cutting its bond to the fibers of the spot. To avoid colour bleeding into the fabric we leave the detergent to sit for 12 minutes. Once the time us up the detergent is draw out and along with it all of the dirt it has attached itself to. There are no leftovers as a strong vacuum machine is used to finish the procedure, leaving nothing behind aside a clean carpet or rug. Steam carpet cleaning: hot water extraction method with maximum impact on bacteria and dust inside the fibers. The procedure is perfect for manufactured elements. The company Quality Property Care Ltd. was established in Brent NW back in 2005, and since then has been developing and evolving, to be ready to catch up with all the latest trends in the cleaning business. The cleaners are all vetted, constantly trained and monitored for their cleaning performance. The machines, instruments and solutions used for the deep carpet cleaning, and the other cleaning services delivered are certified, safe and modern . The cleaners can handle any kind of stains on your rugs or carpets, including: wine, oily stains, blood, oily stains, wine, paint, vomit, rust, coffee or tea. All services delivered are covered by insurance, and the quality is guaranteed. Unlike ordinary synthetic carpets, rugs can be a challenging task, when it comes to comprehensive and proper sanitizing. Our rug cleaning specialists, though, are well-trained to handle all types of rugs and carpets: synthetic, wool, cotton, linen, silk, viscose, suede, chenille, plush, nubuck, leather and acrylic. Depending on the fabric kind, the professional carpet cleaners in Brent NW chose the most suitable procedure. Attention: we always test the detergents on the back of the rug to ensure it will not get wasted. Bear in mind that Quality Property Care Ltd. carpet cleaning company, though, works only with tested and 100% eco-friendly cleaning detergents with no chemicals. Last, but not least, the carpet cleaning teams can also provide: Mattress Cleaning, Bed Bug Mattress Treatment, Drapery Cleaning Curtain Cleaning Blinds Cleaning. Bear in mind that if you order more than one service, we will make a special discount for you! Receive your offer right now and don`t worry about the hygiene at home tomorrow! We would be glad to help you! To book our professional cleaning service call 020 3746 4287. Our dedicated team of customer care agents is available, helping you with the booking or answering any questions you may have. We are available during weekends and bank holidays free of additional cost, with same day availability and flexible booking . Be sure to follow our website and check back regularly as we often have offers and deals which can save you up to 35% on your next deal. Don’t miss an opportunity to get the best rug & carpet cleaning in Brent NW at the finest prices in the Greater London area.